It's InstaFriday time again, my friends! Let's go ahead and take a peek at my random cell phone photos from this week, it'll be quick and painless, I promise. 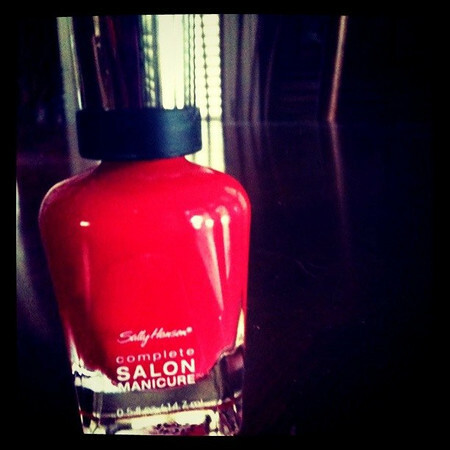 I decided my nails needed a punch of summer this week, so I turned to my good friend Sally for help. If you've never tried her complete salon manicure (all in one bottle) you should. I fell head over heels last fall in love with her (I'm assuming there is a real Sally Hanson somewhere) Commander in Chic (a grey taupe) and Midnight in NY (a blue-black with sparkles). But for summer, Kook-a-Mango is my girl (a bright punchy coral). Annelise occupied herself, along with Kit and Carly, most of yesterday playing school. I stumbled upon them at *lunch* and couldn't stop myself from snapping a picture. If Annelise is with me when I have to stop by the bank (drive-through of course), she pulls out all the stops, window down, leaning out, waving, silly faces, etc. to make sure the teller sees her in the hopes the bank tube will be returned with a Dum Dum or two. It rained in Texas this week. Good earth soaking, mud-inducing, puddle forming, downpours. 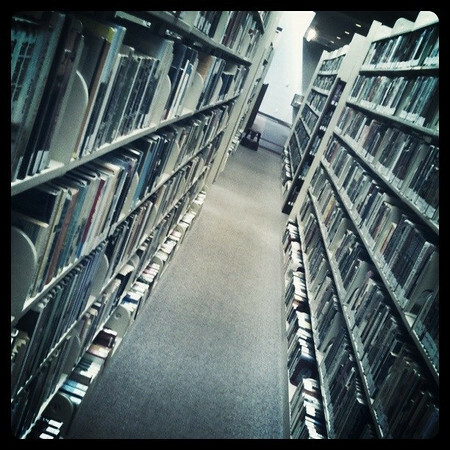 Annelise and I went to our happy place last week, otherwise known as the library. Along with a respectable stack of Nancy Drews, Betsy Tacys and Puppy Places, along with a few movies for Annelise, I checked out the first four books of The Wilderness series by Sara Donati. I'm on the second one now, Dawn on a Distant Shore, and can't put it down. As in, who *forgot* to do laundry this week? 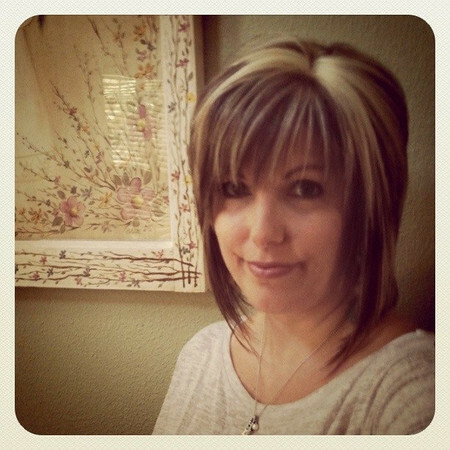 And finally, I got my hairs did Saturday. Or re-did as the case may be. All things considered it turned out basically the same as always just shorter and brighter. Be sure to pop on over to Jeannett's blog for more InstaFriday fun! 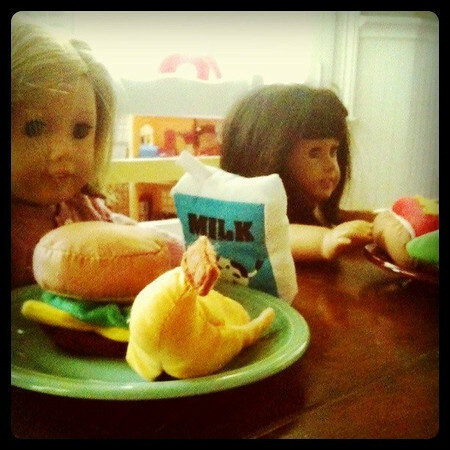 Is that Fiestaware the dolls are eating on? Love it! 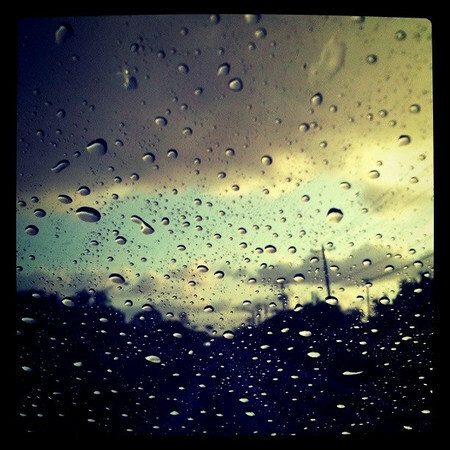 I'm so glad you got some glorious summer rain!!! My roots are starting to make their presence known...ugh. I love your InstaFriday posts. Have a great weekend! miss holly- someday i will make a trek to texas so that you can enlighten me on style. i have none- and you would be an awesome tutor! i can't remember the last time i painted my nails!!! what?!?! 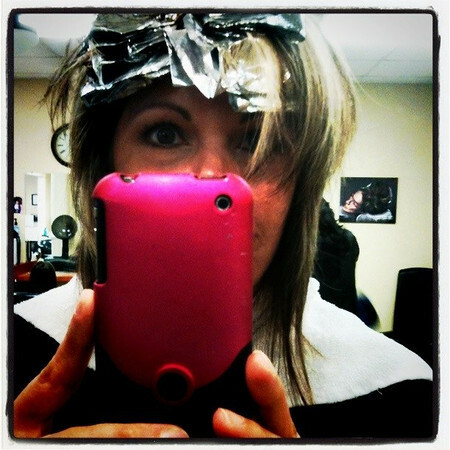 i also got the foil alien look this week! feeling much better. i was meant to be blonde. those pictures of kit and carly at lunch crack me up. hilarious! 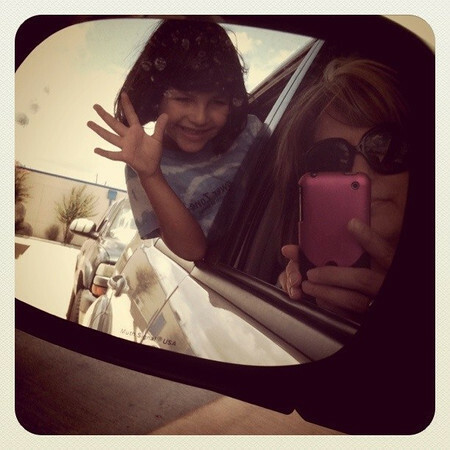 love the shot of A hanging out the window! betsy, tacy & tib are favorites around here. our a.g. girls aren't aloud to "play school" they are only aloud to play "summer break" and they are!